From Weird Wooden Works comes this unusual round wood table with fractal-styled patterns burned into the wood using 15,000 volts of electricity. 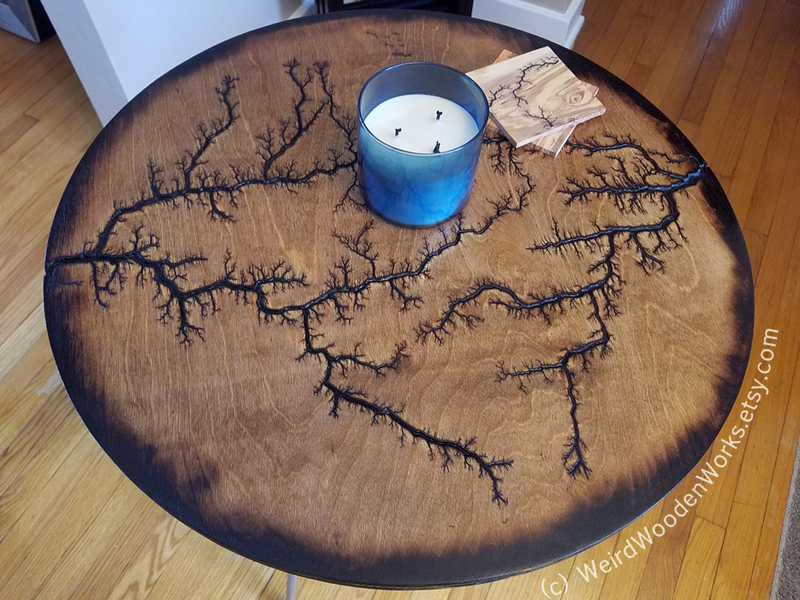 These patterns and how they are created are called Lichtenberg figures named after the German physicist Georg Christoph Lichtenberg, who originally discovered and studied them. I love how the pattern demonstrates the natural flow of energy. We see this pattern in such things as tree branches, rivers and their tributaries, and lightening.